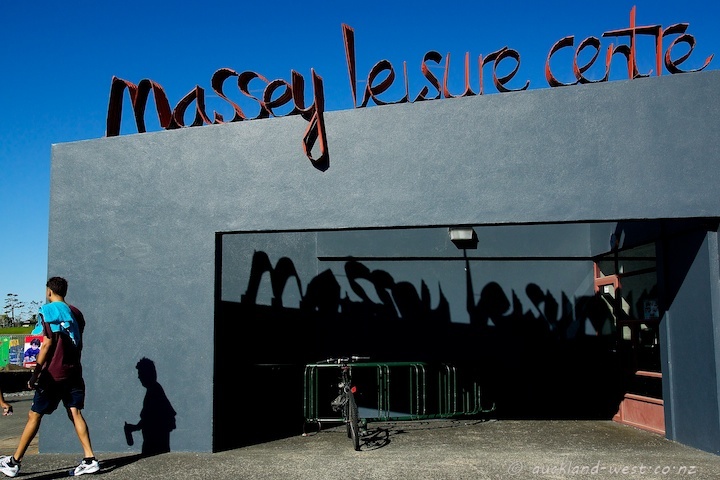 The Massey Leisure Centre and Library next to the Westgate shopping centre sports corrugated iron lettering by the master of corrugations, Jeff Thomson. It appears in three different places on the building. More on this library on Claire Gummer’s Latitude of Libraries.